Five air quality models were applied over Portugal for July 2006 and used as ensemble members. Each model was used, with its original set up in terms of meteorology, parameterizations, boundary conditions and chemical mechanisms, but with the same emission data. The validation of the individual models and the ensemble of ozone (O3) and particulate matter (PM) is performed using monitoring data from 22 background sites. 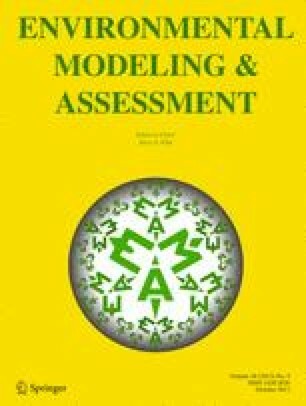 The ensemble approach, based on the mean and median of the five models, did not improve significantly the skill scores due to large deviations in each ensemble member. Different bias correction techniques, including a subtraction of the mean bias and a multiplicative ratio adjustment, were implemented and analysed. The obtained datasets were compared against the individual modelled outputs using the bias, the root mean square error (RMSE) and the correlation coefficient. The applied bias correction techniques also improved the skill of the individual models and work equally well over the entire range of observed O3 and PM values. The obtained results revealed that the best bias correction technique was the ratio adjustment with a 4-day training period, demonstrating significant improvements for both analysed pollutants. The increase in the ensemble skill found comprehends a bias reduction of 88 % for O3, and 92 % for PM10, and also a decrease in 23 % for O3 and 43 % for PM10 in what concerns the RMSE. In addition, a spatial bias correction approach was also examined with successful skills comparing to the uncorrected ensemble for both pollutants. The authors acknowledge the Portuguese Environmental Protection Agency for the observational dataset support. Thanks are extended to the Portuguese ‘Ministério da Ciência, da Tecnologia e do Ensino Superior’ for the financing of ENSEMBLAIR (POCI/AMB/66707/2006) project, for the PhD grant of V. Martins (SFRH/BD/39799/2007) and of Isabel Ribeiro (SFRH/BD/60370/2009) and the post doc grant of J. Ferreira (SFRH/BPD/40620/2007). COST ES0602 is also acknowledged. In addition, this work was also supported by the German Academic Exchange Service Program and the CRUP—Accoes Integradas Luso-Alemãs. ENVIRON (2008) User’s guide to the Comprehensive Air Quality model with extensions (CAMx) version 4.50 (May, 2008). http://www.camx.com.